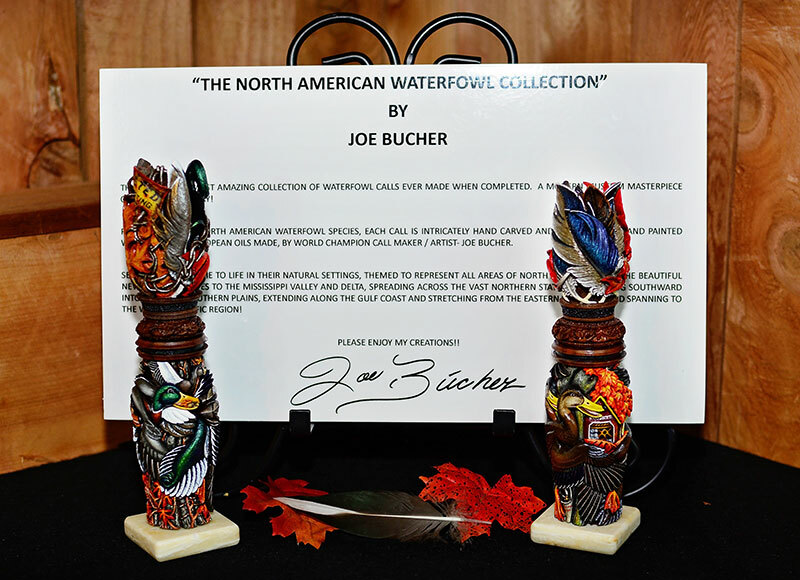 North American Archives - Heritage Calls, Inc.
A modern museum masterpiece of sporting artistry by Joe Bucher, this huge endeavor will be the most amazing collection of waterfowl calls ever crafted. More marvelous calls are being routinely added as this is complexed awe-inspiring, continuous project! 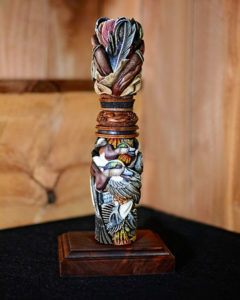 Representing all species of North American waterfowl, hybrid waterfowl and one extinct species of North American waterfowl, these exquisite calls are incredible intricately carved from hardwoods with complexed and extremely unique, well planned themes. As wood is removed by Joe, the hidden art inside the wood begins to be exposed. 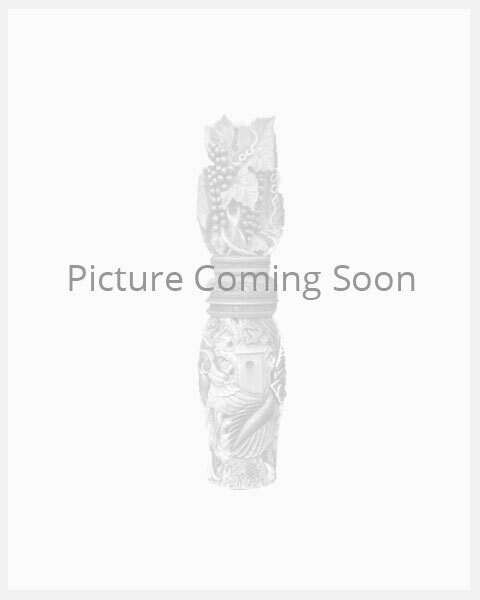 At first the background appears, followed by objects closer to the viewer. An old hunting shack, perhaps ancient trees with their snarled vines, maybe an old duck blind. 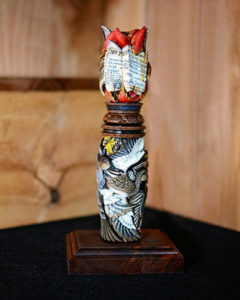 The fowl are next, closer, taking shape, almost so realistic they fly off of the walnut call! Foregrounds are the last stand outs with all the natural world’s amenities such as cattails, weeds, logs or stumps. Some wild creatures may even show themselves. Time consuming minute tiny detail is then added, and thus the carving is complete! 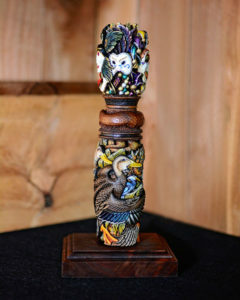 The high relief carving coupled with extensive undercuts gives each call a three-dimensional appearance ready for the rich oil paints to be applied. Joe slowly begins his skill of meticulously hand painting each segment of the call, using only the finest European artist’s oil paints made. Opaque backgrounds, some with dark shaded areas compliment highly sunlit places. 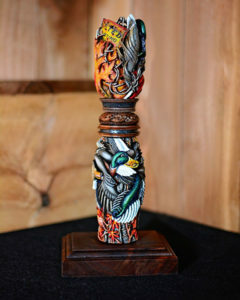 Fiery luminous glazes accent everything all the while the fowl’s natural colors are perfectly matched for a truly realist result! 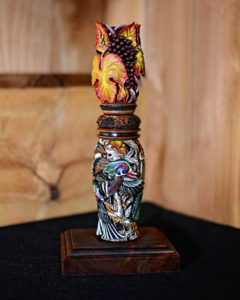 Each call is slowly brought to life as the radiant luster pigmented color is methodically hand applied. Unique themes suggest the habitat that is indigenous to a particular specie of waterfowl. Historical events coupled with local waterfowling areas sometimes present stories. 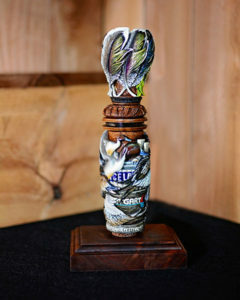 Regions across the country that are steeped in rich waterfowling tradition are also represented. You can see North American waterfowl come to life from the beautiful New England states across to the great lake region down into the Mississippi Valley and Delta, spreading through the vast Northern Plains, shifting southward into the great Southern Prairie, extending along the marsh rich Gulf Coast and stretching back from the historic Eastern Seaboard and reaching to the Western Pacific up and exploring all the Canadian provinces! I so hope everyone enjoys their journey through World Famous Heritage Call®’s museum! 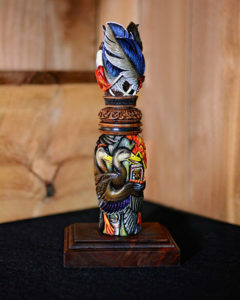 I strive to bring you the very finest sporting art crafted! “The Wrong Side of the Fence”…Mallards!